Spring is well on its way. That means lighter nights, blossom on the trees and warmer temperatures. But what does this mean for your heating? Before you turn it off, read our tips on how to look after it during warmer months. 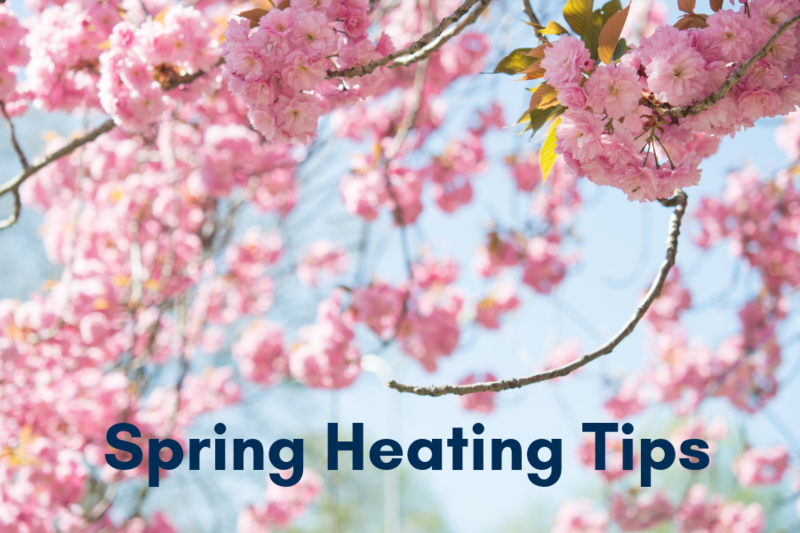 While you may be tempted to turn your heating off completely in spring, some valves may stick if they’re not used. And you won’t know there’s a problem until you switch it back on when you really need it later in the year. Be sure to run your heating at least once a week during the warmer months. Just a few minutes will do, first thing in the morning. During warmer months, while your heating is off, keep all your radiator valves open and turn up the thermostats (if you have them on your radiators) to maximum. This will stop them sticking when you are using your heating fully in the autumn and winter. An annual service is the best way to ensure your heating system remains in tip-top condition. But don’t be tempted to wait until the start of the winter before having yours serviced. A service in June or July is the ideal time to rectify any problems that have occurred during warmer months and means your heating will be working properly when you really need it. Did you know you can turn down the temperature your hot water is heated to? You might want a piping hot shower or bath in the winter, but during spring and summer, turning your hot water down a degree or two will help cut your fuel bills. And because it’s warmer, you won’t really notice the difference in your bath or shower. Simply adjust your boiler controls to alter the temperature. The water temperature will normally be set at 65 degrees but you can turn it down to 60 degrees in warmer months. Carbon monoxide is the silent killer. You can’t see it or smell it. We recommend you have a carbon monoxide alarm fitted in each room where you have a gas appliance. We can fit them for you easily and relatively cheaply – the best way to protect your family! Why not take advantage of our boiler and radiator offers this spring? For help with your heating installations, repairs or servicing, contact us on 020 8462 8822 or request a call back.